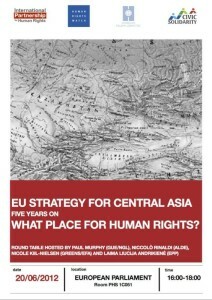 Home Events Round table on EU and human rights in Central Asia today! IPHR and partners are organizing a round table at the European Parliament today 20 June 2012, to discuss EU human rights action in Central Asia. 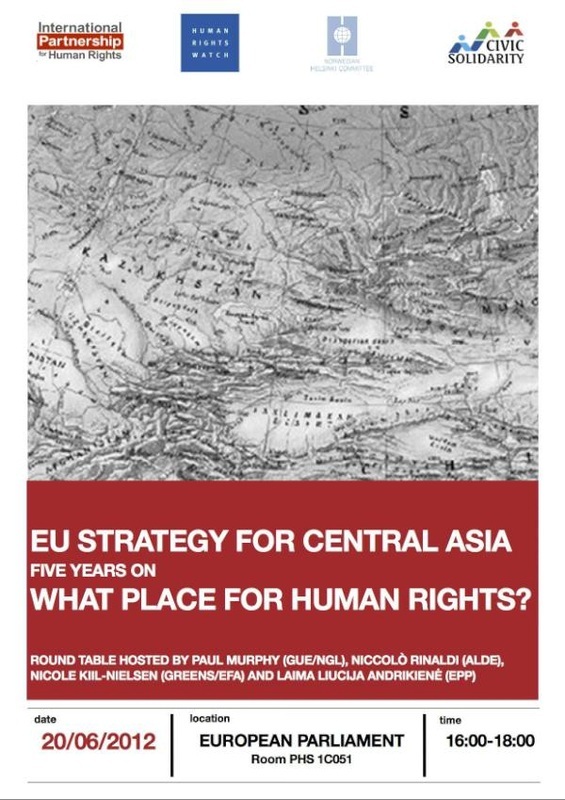 The event is held in connection with the five year anniversary of the EU Central Asia Strategy. For more information, see the invitation (by clicking on the image to the left). For two new publications on the same topic, go here. Next articleAppeal by the Civic Solidarity Platform to the Russian authorities to reject repressive draft legislation on "Foreign Agents"